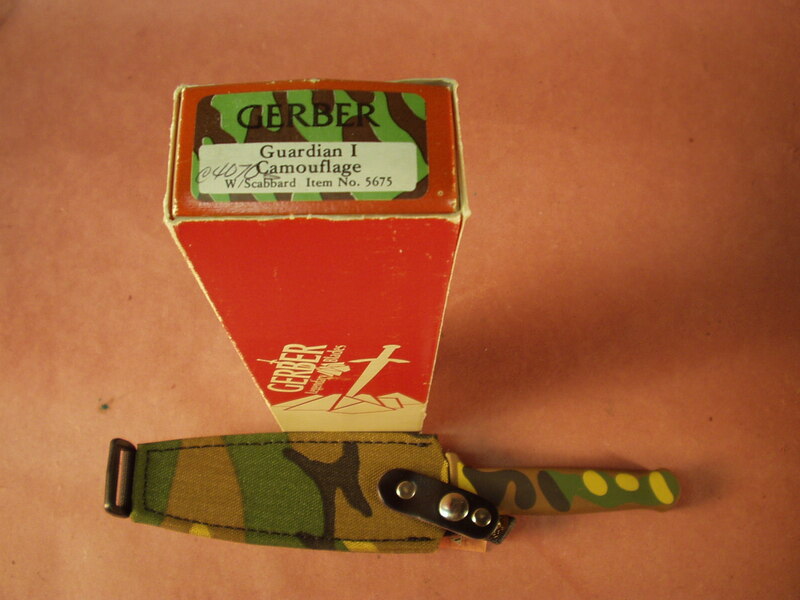 The Gerber Guardian in Camouflage was made by Gerber from 1983-1885 and since discontinued, while Gerber made the Guardian I for some time they only made the Camo handled model for 2 years. 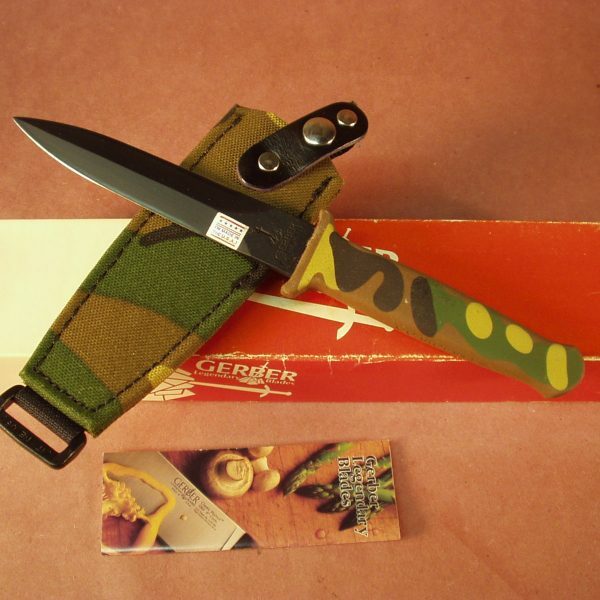 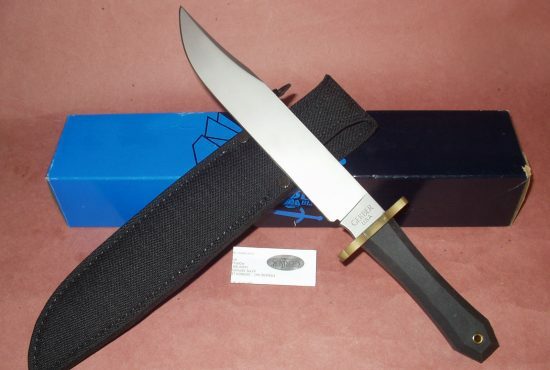 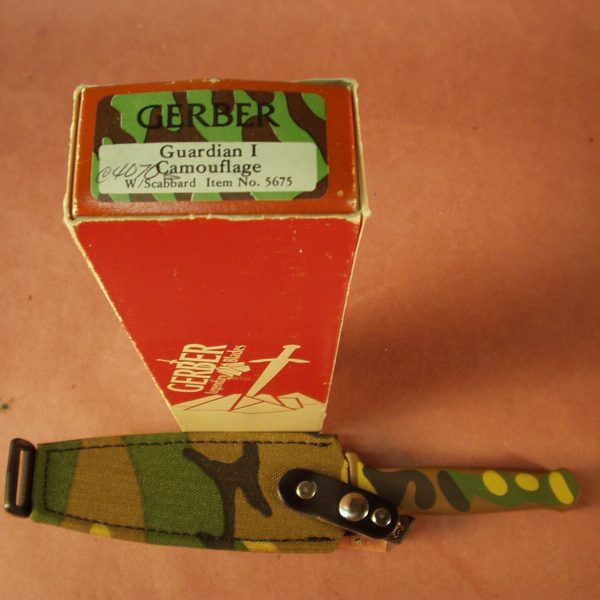 What we have pictured here is a New In Box with brochure, a MINT Gerber Guardian I with the Camouflage handle. 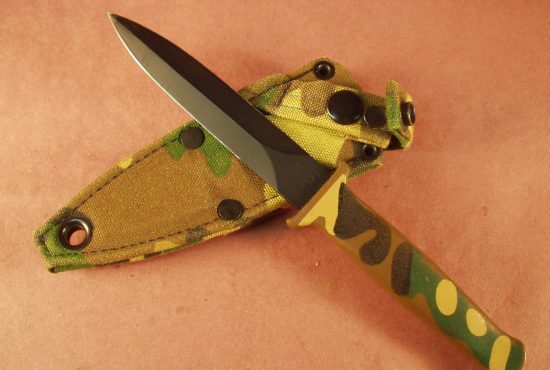 Serial # C4970S. 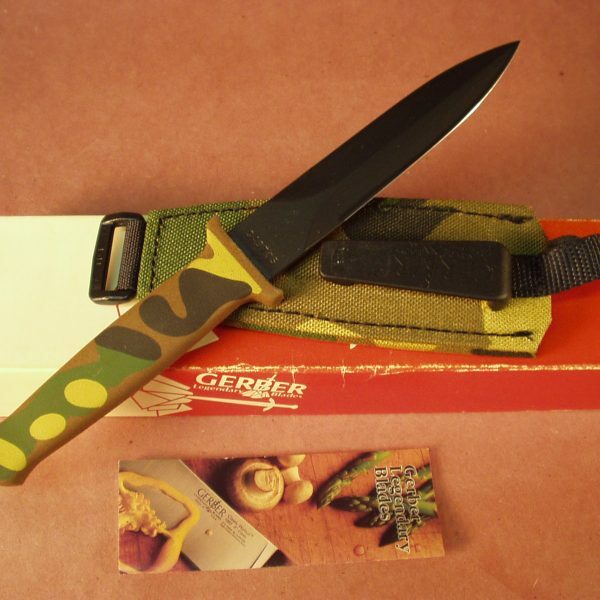 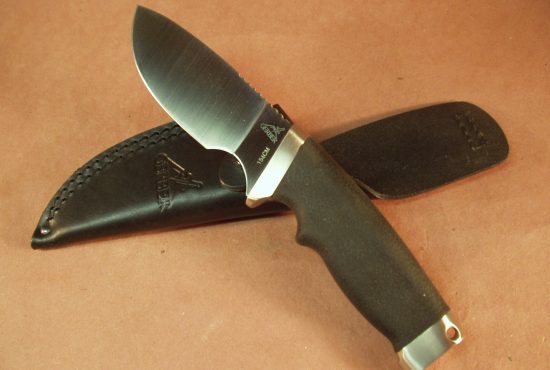 Featuring an all black blade and Camo cordura sheath to match – a real rarity. 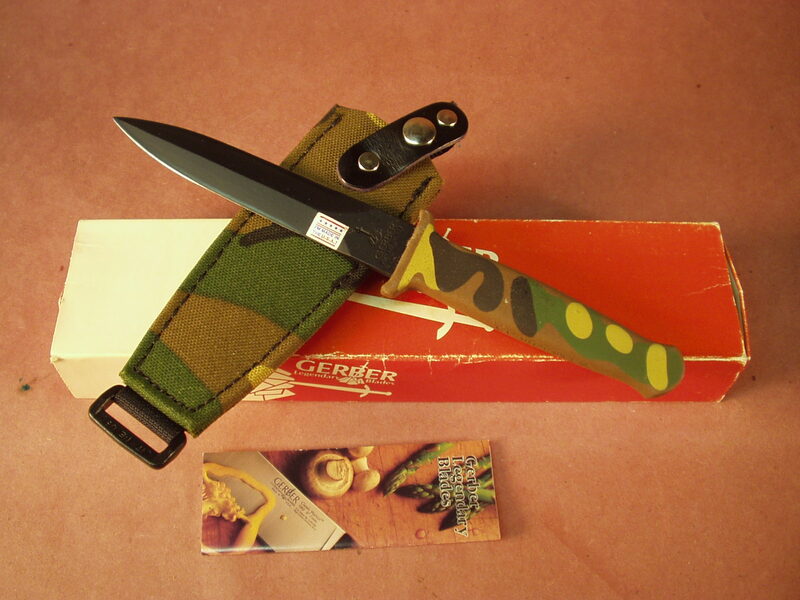 The Made in the USA sticker still retained on the blade!! 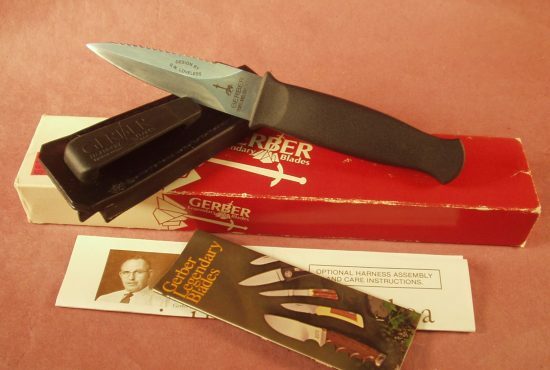 Older Gerber knives continue to become very hard to find and finding them NIB is becoming a real challenge since few were made, and ever fewer never put into service. 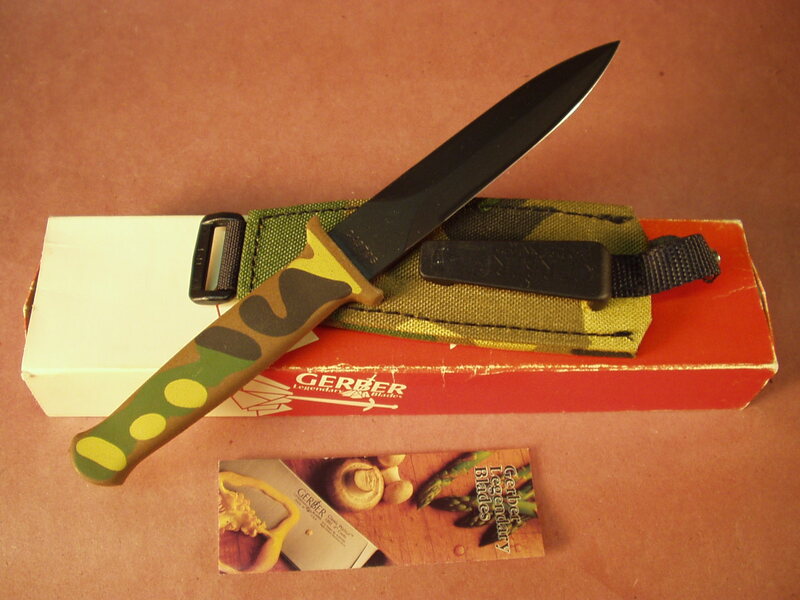 A great user and an even better a great investment as you will not see these appear in “today’s” Gerber product line, unfortunately most of the Gerber / Fiskars products are made overseas; but not this one, it was made in the USA.